Its been like 5days since my last post😅,sorry guys I’ve been caught up in somethings,So recently a friend of mine just got her own Bobbi Brown makeup brush set👏and i was just talking to her about cleaning them when they get dirty and she told me she didn’t think it was necessary and that she doubts they can😕. That being said, I’m going to reexplain all that to you guys,just in case some people dont know as well. 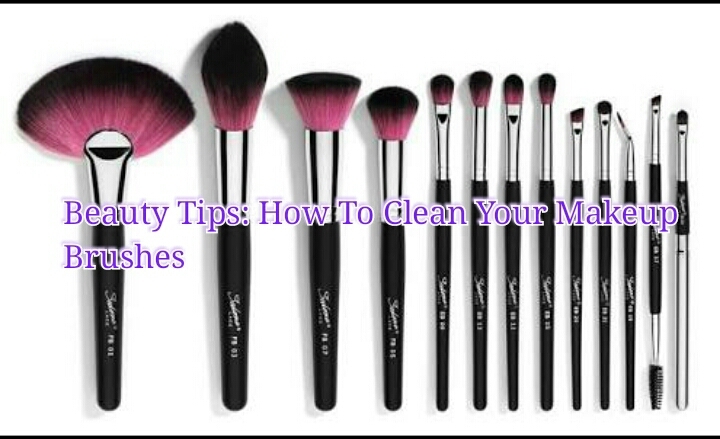 Gently rinse the bristles(AKA the soft/fluffy thingy we use on our face, usually assisted by a handle).Now be very careful when rinsing and make sure you don’t put the whole brush in the water strictly the bristles, the water can make the glue holding it loose. Rinse it again,check just how much cleaning you have left to do or if you’ve gotten most of the stain out. Once again,make sure the water doesn’t go above the handle. Squeeze the water out.Put the bristles between your thumb and pointing finger and gently remove excess water from the brush(es). Alright, now you’re done. Place the brush(es) on a dry cloth and leave them out to dry. TA-DA brand new brush(es).